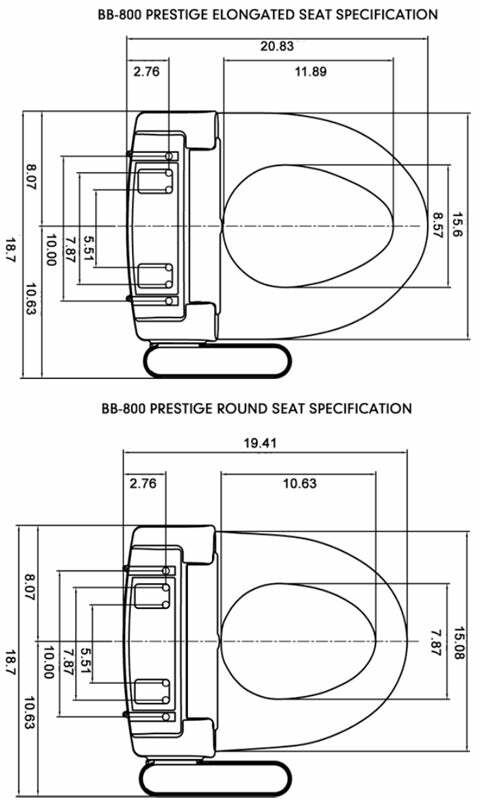 One of the more economical bidet products offered is the Bio BIdet BB-800 Prestige bidet toilet seat. It features the vortex technology with the 3 in 1 nozzle design. It is so simple to use it to get a clean and fresh experience each time. The sanitary self-cleaning nozzle is also safe to use. Say goodbye to the days of using harsh toilet paper. It is offered both in the round and elongated shapes. One of the advanced features it offers is the turbo wash. When you are in a hurry or you need additional pressure, this is the setting to pick. The heated seat has three settings as well as a turn off switch to be more economical. For overall economic savings, there is the automatic power savings mode. The sensors of the Bio Bidet BB-800 bidet are able to detect when someone is using the product. There is also a soft close lid to help reduce sounds. The large tank size ensures lots of warm water for cleansing to be completed. 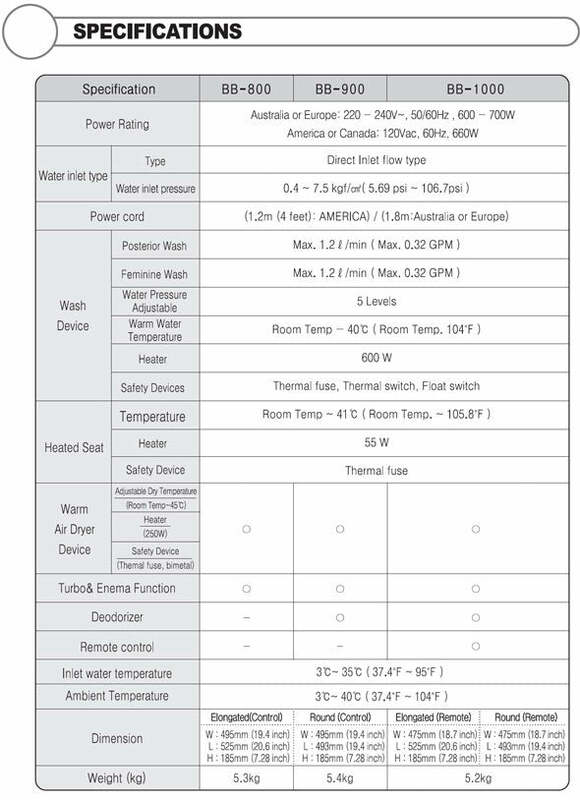 The user can pick the heat setting and the water pressure setting to get exactly the type of cleansing they desire. There are some additional features with this bidet that are attractive to consumers. This includes the bubble infusion. There is a built in deodorizer that helps to keep the bathroom smelling nice for your household members as well as any guests. The controls for the Bio BIdet BB-800 bidet seat are located on the right hand side. The buttons are simple to master so you will be able to use all of the features of this bidet in no time at all. This product is built to last, and it is very affordable. It isn't going to be a disappointment, but rather a very nice addition for any household. The Bio Bidet BB-800 fits almost all one and two piece toilets. The one exception is toilets similar to the below design. Bio Bidet's toilet seat style has a wider rear than some of the other brands. 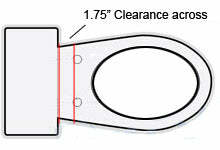 Because of this your toilet will need atleast 1.75" clearance all the way across between the mounting holes on the toilet and the back of the tank (see image below). If your toilet tank has some curve to it, Brondell will probably fit your toilet. If you are unsure if Bio Bidet will fit your toilet, please take a picture and send it to us at support@bidet.org, we'd love to help you find the right fitting bidet for you.